What is Asbestos Plaster and is it still around today? Asbestos plaster might not be a term that you’ve heard before, in fact, by now, you’re probably hearing a lot of asbestos terms that you haven’t heard! That’s because we want to educate you about asbestos – even in its sneakiest forms – to ensure that our next generation is a healthier one! So, today we’re going to tell you all about asbestos plaster! Asbestos can be found in a number of plasters used in homes. These homes, built prior to the outlawing of asbestos, had asbestos in their plaster to create a fire resistance in the walls of the home. At the time it was thought that this was a genius idea because it “created a safer space”. As it turns out, asbestos wasn’t the miracle it was thought to be! It wasn’t long before anyone who handled asbestos or was present during home construction or renovations was at risk for a good many side effects from breathing in asbestos particles. Whenever asbestos is handled, becomes compromised, or ages to the point of deterioration, it sends tiny asbestos fibers into the air. These same fibers create an uncomfortable respiratory effect and can build up in the lungs and cause cancer. How does plaster become compromised? 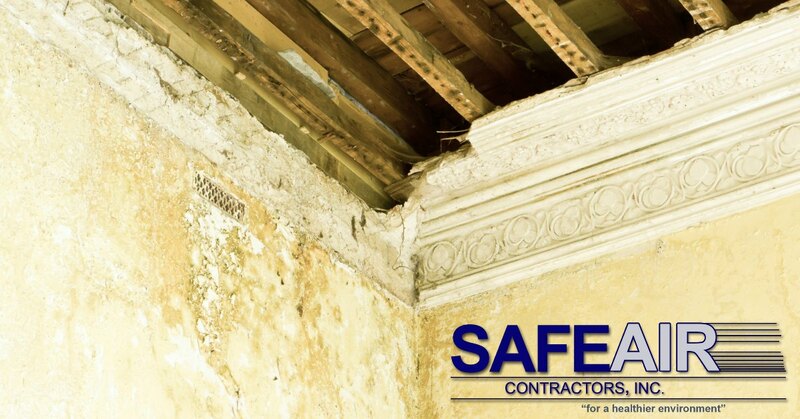 We’ve all seen homes with chipping plaster, cracks or even water damage to the plaster. These things all risk your being exposed to asbestos particulars and fibers. Is Asbestos Still used in Plasters Today? This doesn’t mean that your home won’t have plaster containing asbestos, some builders continued to use their excess materials even after new production was banned! So How Do You Know if Your Home Does Have Asbestos in the Plaster? To begin with, if you live in a modern-day home, there is a very slim chance that your plaster contains asbestos! That said, some homes that were built in the years immediately following the ban on asbestos may still contain asbestos plaster. So, what are you to do? The best solution is to call your local asbestos contractor to take a look at your property. Asbestos abatement contractors are familiar with the sight, brand, and tendency of certain builders to utilize asbestos containing products. They are also very well trained in spotting asbestos! Once you have called and set up an appointment with an asbestos abatement professional like us here at SafeAir Contractors, we will come by and take a look at your house. If the asbestos abatement professional notes the presence of asbestos in your plaster, they will make a safe plan to remove or encapsulate it to make it much safer in your home! 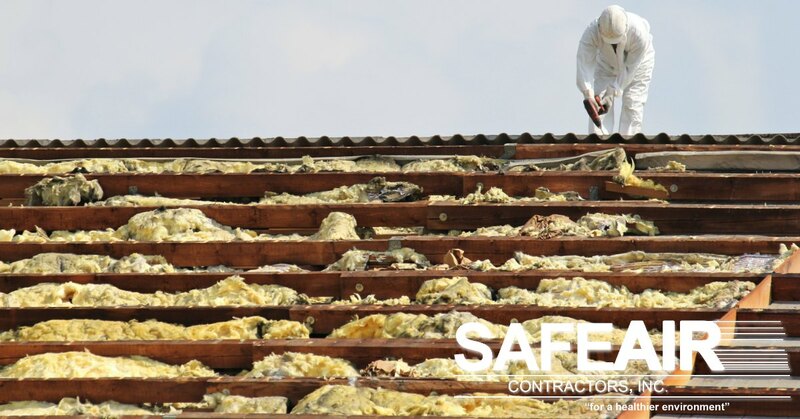 It’s important only to rely on a professional for asbestos abatement, however, because just one wrong move can create a serious health hazard for everyone within radius! Once the troublesome plaster has been removed, the abatement professional, like ours here at SafeAir, will secure your home and do everything in our power to make your home a safer place! If you’re located in western Pennsylvania or are in Ohio and need any asbestos abatement services, just give us a call at 440-639-1191 and we’ll get started right away! What is Asbestos-Contaminated Vermiculite Insulation?